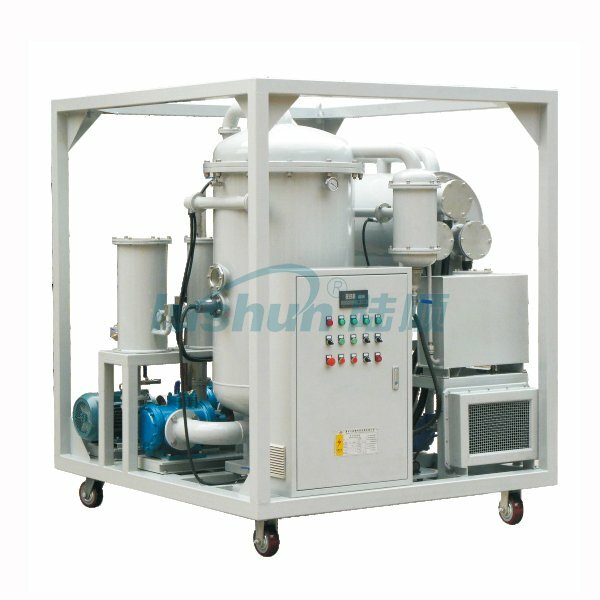 ZRG-I Series Dehydration Dedicated Oil Purifier - Buy Oil Purifier, Dehydration Oil Purifier, Oil Purification, Oil Purifier for Dehydration, Turbine Oil Purifier, Lubricating Oil Purifier To Remove Massive Water, Dehydration Dedicated Oil Purifier, Oil Filtration Product on Turbine Oil Lubricating Oil Filtration--- China Chongqing Lushun Scientific & Technological Development Co., Ltd.
ZRG Series Dehydration Dedicated Oil Purifier is widely used in industries of petroleum, chemistry, metallurgy and power generation etc. 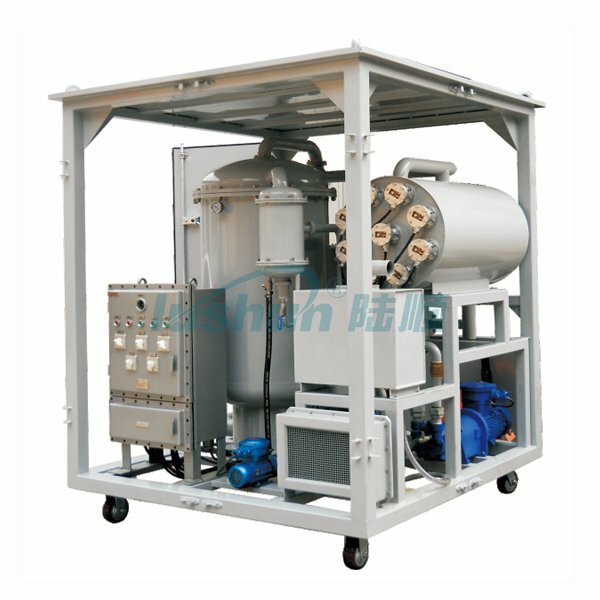 It is very suitable for removing free water, emulsified water, impurities and gas in turbine oil and lubricating oil(gear oil, hydraulic oil, machine oil and refrigerant oil) with high water content efficiently and effectively while working online with lubricating system for long time by deeper purification to increase the filtration precision and cleanliness grade so as to improve the oil quality and regain its performance, protect the normal working of hydraulic system, dynamic system and lubrication system. ZRG series contains type ZRG-I (for oil below 150# ) and type ZRG-II (for oil above 150# ). ●Rapidly remove the free water in the oil, make sure its water content can be less than 100ppm. ●With high precision, large pollutant-containing capacity and long-lived filter cartridge, ZRG series also has function of automatically detecting the pollution degree of filter element. ●Can be working online without supervision and with its lamps indicative of operation status. 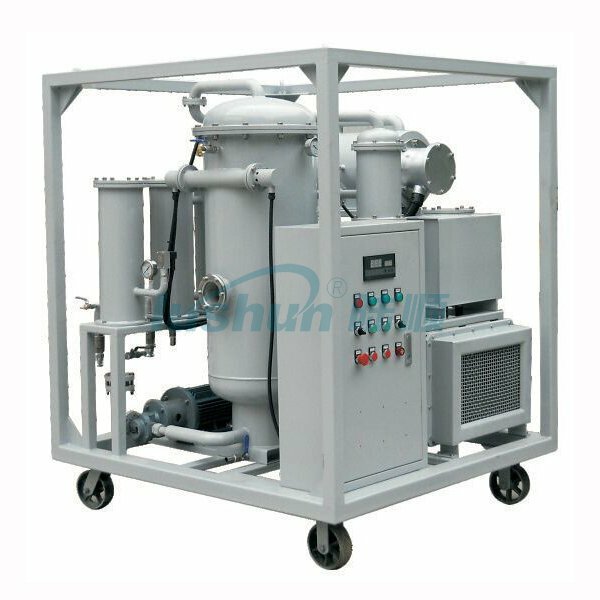 ●User-friendly design with low noise, easy operation, long time free maintenance and low energy consumption to save cost from its running process. 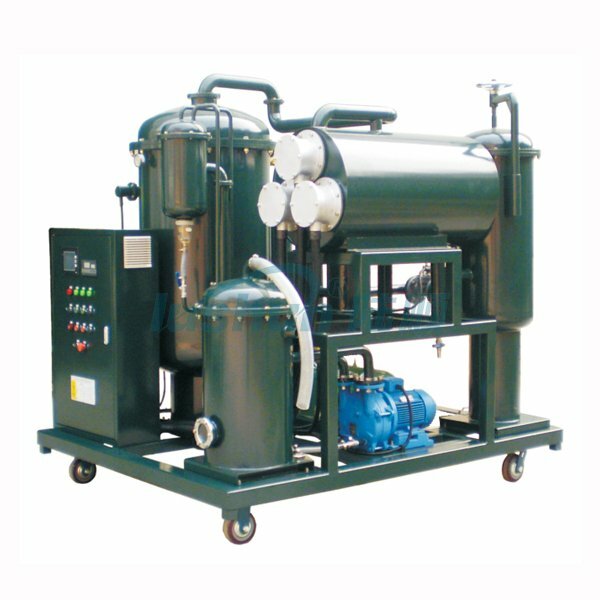 ●Equipped with indicator for changing filter elements and automatic stop device for overloaded filters. ●Equipped with emergency stop device for electric leakage and power overload to protect the motor. 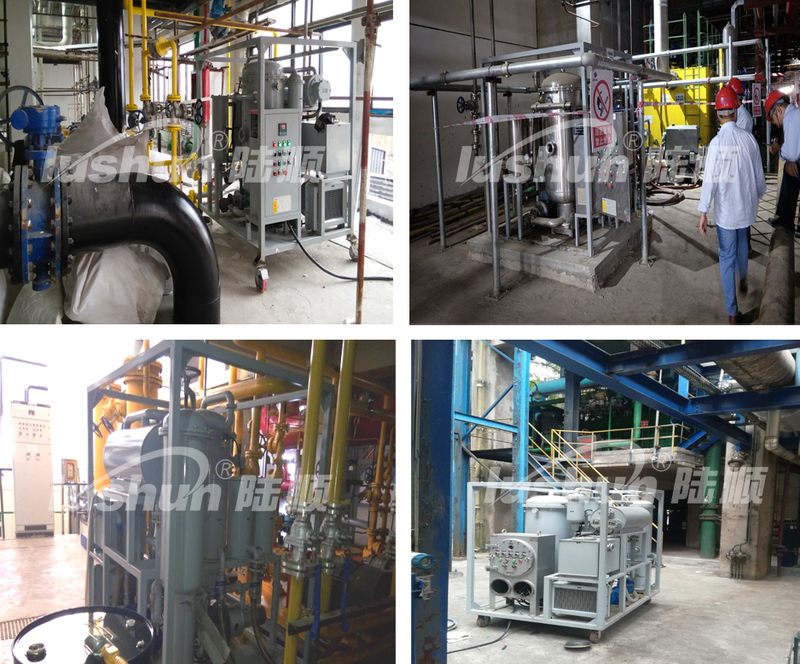 ●With functions of phase-sequence, open-phase protection and sudden shut-down safety control. ●Optional PLC intelligent controller with touch screen operation dynamic display . 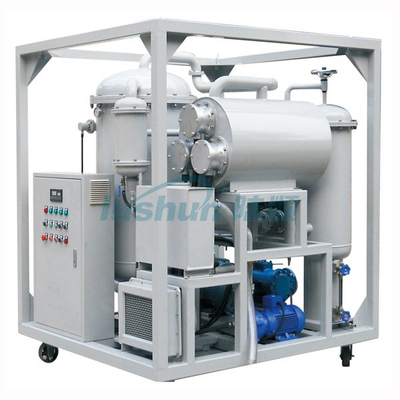 ●Online moisture tester and online particle detector are available as its optional components. ●The whole structure of the machine can be made mobiles style with four wheels, fixed style, mobile style with trailer(double axles or single axle). 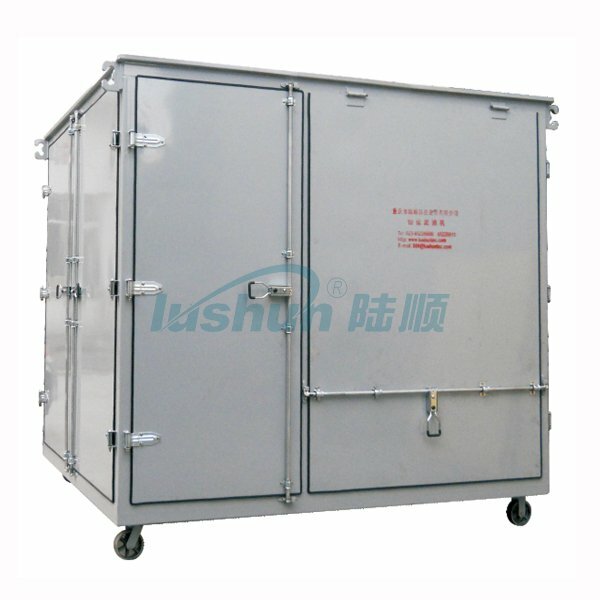 ●Optional style: fully enclosed, conceal eaves, canvas and open etc. ■Above size and weight of this equipment are for reference only, the specific data shall be subject to its physical object.